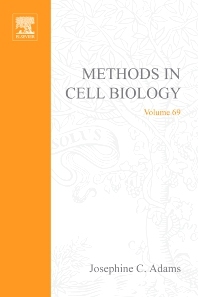 Critically acclaimed for more than 25 years, the Methods in Cell Biology series provides an indispensable tool for the researcher. Each volume is carefully edited by experts to contain state-of-the-art reviews and step-by-step protocols. Techniques are described completely so that methods are made accessible to users. This volume, Methods of Cell-Matrix Adhesion, contains integrated coverage on cell-matrix adhesion methods. It brings the classical methodologies and the latest techniques together in one concise volume. This coverage includes experimental protocols and their conceptual background for all aspects of cell-matrix adhesion research: the extracellular matrix, adhesion receptors, and the growing number of functional applications of matrix-adhesion in molecular cell biology. Also covered is the purification of the extracellular matrix to functional analyses of cellular responses. Cell biologists, biochemists, developmental biologists, researchers in the biotechnology and pharmaceutical industries researching cell-matrix adhesion systems as drug targets; clinicians with interests in cell-matrix adhesion; and tissue engineers. Lerner Research Institute, Cleveland, Ohio, U.S.A.